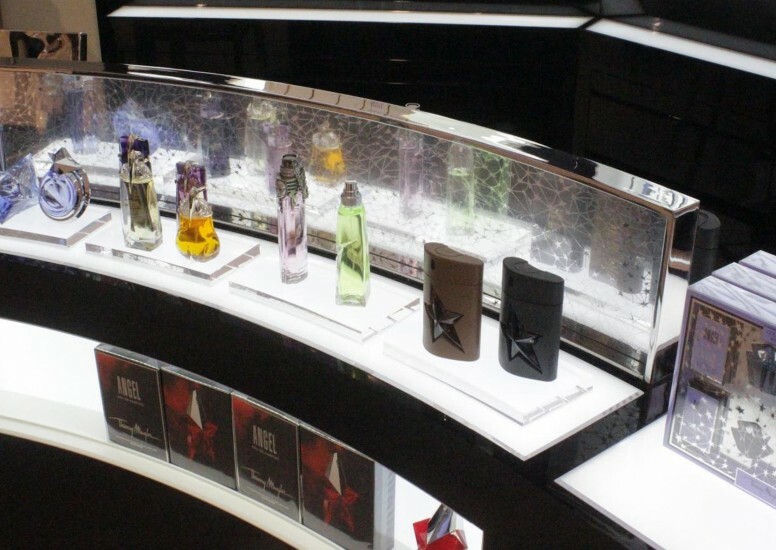 D4r worked with Clarins fragrance Group’s UK Design & Merchandising Manager and Retail Architects at the Mugler HQ in Paris, to take the brands concept, design develop it and manage the production. 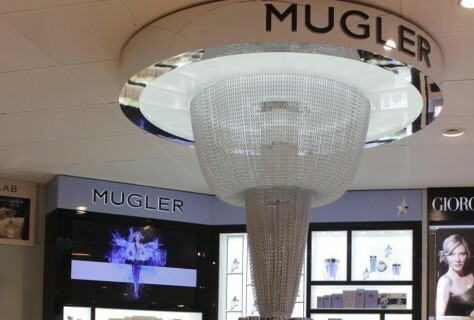 We supplied technical expertise and produced all required CAD drawings for pre installation works and ensured that the final execution of this bespoke design was carried out to the quality standard the brand requires. 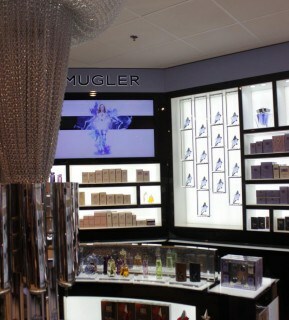 Every retail site for Mugler is different and no two Source Trees are ever produced the to the same design, so it keeps us on our toes.